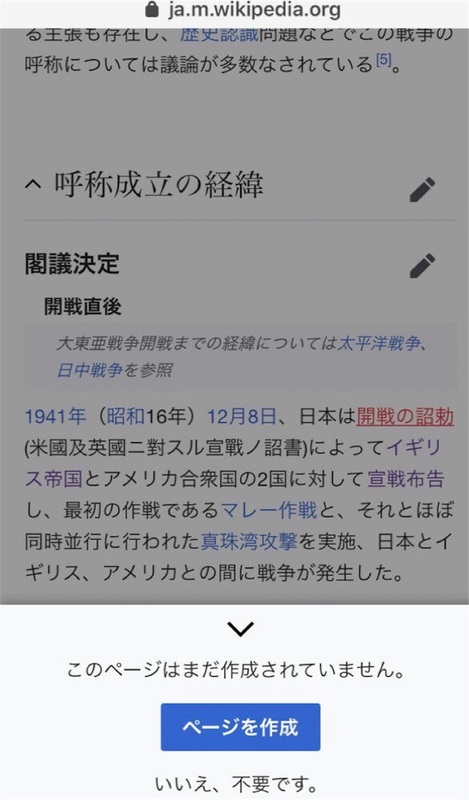 The imperial decree of the open war erased from Wikipedia # Spread hope # History # The mass communication Today is the day when Japan attacked Pearl Harbor on December 8. That is why I decided to update the imperial edict of the war, but I did not find it by Professor Wikipedia. It seems that "This page has not been created yet" Is it overwhelming to think that it is someone's conspiracy?